SPENCER – Austin Bacon scored 21 points and Brett Kasch added 20 points as the Spencer boys basketball team defeated Owen-Withee 65-48 in a Cloverbelt Conference East Division game Saturday afternoon at Spencer High School. 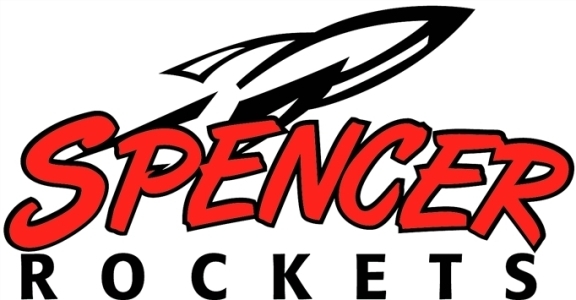 Spencer improves to 7-10 overall and 6-7 in the Cloverbelt East. Owen-Withee drops to 5-12 and 4-9 in the conference. Both Bacon and Kasch each had four 3-pointers for the Rockets, who made 22 of 46 shots overall from the field. Nate Karau added 12 points and seven rebounds for Spencer. Spencer returns to action Tuesday at home against Neillsville. OWEN-WITHEE (48): Marcus Ackerman 13, Dylan Tomczak 8, Kevin Kitlica 5, Jeffrey Kallepp 2, Aaron Ovyn 9, Alex Dunnivant 8, Tyler Weaver 3. Record: 5-12, 4-9 Cloverbelt Conference East Division. SPENCER (65): Jacob Schultz 2-4 0-0 4, Brett Kasch 6-14 4-9 20, Austin Bacon 5-12 7-9 21, Nate Karau 5-8 2-2 12, Trinity Larson 2-3 0-1 4, Eric Ehlert 1-2 0-0 2, Erik Danarp 0-0 0-0 0, Kaleb Brandt 1-3 0-3 2, Carson Schmidt 0-0 0-0 0. FG: 22-46. FT: 13-24. 3-pointers: 8-18 (Bacon 4-7, Kasch 4-9, Larson 0-1, Karau 0-1). Rebounds: 29 (Kasch 7, Karau 7). Record: 7-10, 6-7 Cloverbelt Conference East Division.